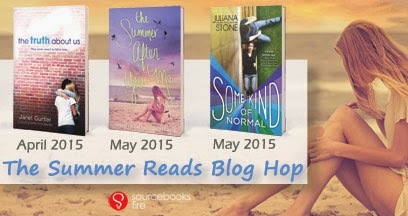 Summer is almost here, and that means beautiful beach days, backyard barbeques, and digging deep into that TBR pile. 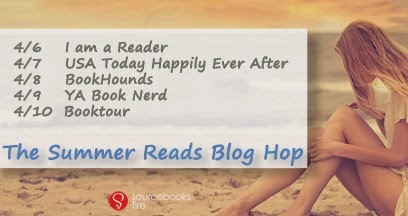 To help you set the mood, young adult authors Janet Gurtler, Jennifer Salvato Doktorski, and Juliana Stone share their favorite summer songs. Perfect for partying or for playing poolside while your read your favorite book. 1. Katy Perry- Fireworks- This song just reminds me of the summer and taking my son to swim meets when he was younger, both of us singing at the top of our lungs! 2. LMFAO- Party Rock Anthem- Another ‘sing at the top of my lungs songs’ that I will never get tired of. It makes me feel free and loose and happy, just like summer! The truth is that Jess knows she’s screwed up. She’s made mistakes, even betrayed her best friend, and now she’s paying for it. Her dad is making her spend the whole summer volunteering at the local soup kitchen. The truth is that she wishes she was the carefree party girl everyone thinks she is. She pretends it’s all fine. That her “perfect” family is fine. But it’s not. And no one notices the lie…until she meets Flynn. He’s the only one who really sees her. The only one who really listens. The truth is that Jess is falling apart, and no one seems to care. But Flynn is the definition of “the wrong side of the tracks.” When Jess’s parents look at him, they only see their differences, not how much she and Flynn need each other. They don’t get that the person who shouldn’t fit into your world might just be the one who makes you feel like you belong. 1. “It Must Be Summer,” by The Fountains of Wayne, because every song by them makes me happy and because the lyrics mention the Jersey Shore. 2. “Come to Me,” by The Goo Goo Dolls, because that song was in constant rotation while I wrote my latest YA novel and the video is both romantic and touching. 3. “Island in the Sun,” by Weezer. I love it so much, it’s my ringtone! Every time I hear this song, it puts me in a good mood and makes me think about sipping Pina Colada’s on a Caribbean island. It was also featured in the teen movie Aquamarine, which I wind up watching every time it’s on. 1. All Summer Long by Kid Rock. Lynard Skynard influence aside, it’s the perfect melody and lyrcis to conjure a hot summer day on the water with friends. 2. La Isla Bonita. This is an old Madonna song but I love the latin feel of the music. 3. Stay with Me by Sam Smith. This song makes me feel melancholy and definitely reminds me of last summer. I love hanging out with friends, by the beach during the summer!! Best thing about summer has to be the great weather to go out and have fun with friends. My favorite thing is reading outside in the warm sunshine with a glass of lemonade.